Jupiter is a planet of records. It is the largest in the Solar System, the most massive, and the one with the strongest magnetic field. It also has the most number of moons. And now a dozen new ones have just been discovered. 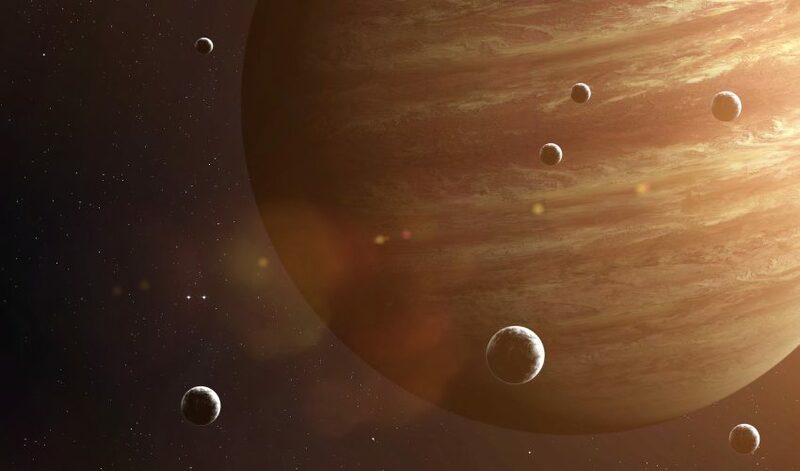 Astronomers weren’t actually looking for new moons around the gas giant. Instead, they were looking for Planet Nine, a yet-to-be-confirmed object that might orbit the Sun way beyond the orbit of Neptune. Jupiter was near the spot they were looking for this object and they just so happened to detect the subtle movements of these new tiny moons. Sheppard spotted the moons first in the spring of 2017, but it took a whole year and several observations to completely characterize the orbits of the new moons. All of them orbit the planet further out than the four Galilean satellites (Io, Europa, Ganymede, and Callisto). 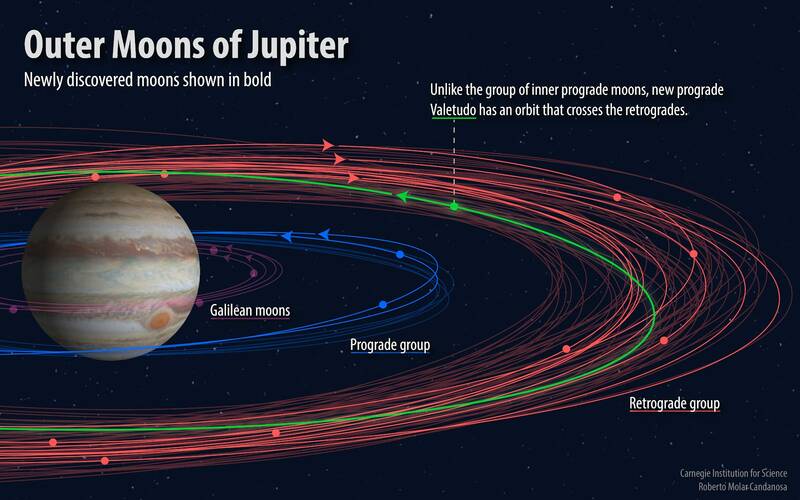 Two moons are part of the prograde group of moons, the ones that orbit Jupiter in the same direction as it rotates. This group is believed to be the remains of a larger moon that broke apart. These moons take a little less than an Earth year to travel around the planet. “Our other discovery is a real oddball and has an orbit like no other known Jovian moon,” Sheppard explained. The team nicknamed it Valetudo, after the Roman goddess of health and hygiene and great-granddaughter of Jupiter. All the other new moons are fairly small as well, between 1 and 3 kilometers (0.6 and 1.9 miles) in diameter. Studying these moons allow researchers to get a better understanding of the formation of the Solar System. For example, these objects are strongly influenced by gas and dust, so their formation must have been subsequent, otherwise they would have lost speed due to friction and would have fallen into Jupiter.